Tim is quickly becoming a quiltmaking rockstar. He got his new longarm and is back in the saddle. He seems to have found his place in quiltmaking. 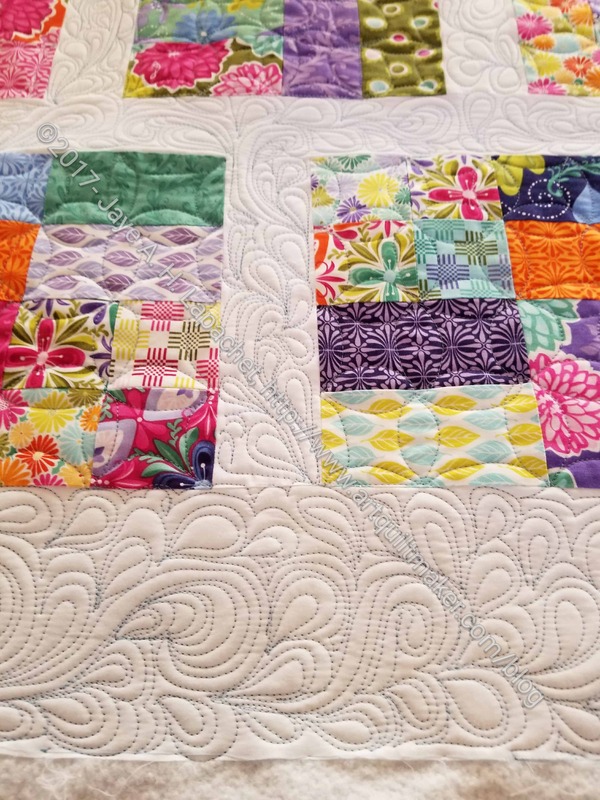 I think he is a quilting savant! If he isn’t at this moment, he is quickly working his way to that level. 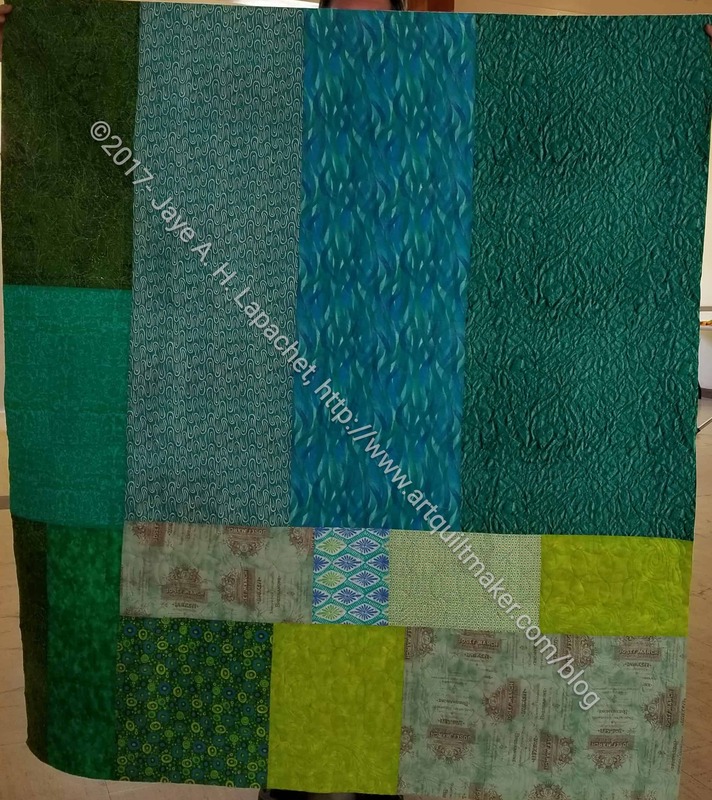 He brought the Terrain donation quilt to Sew Day on Saturday and it really looks great. He quilted the sashing differently than the blocks. 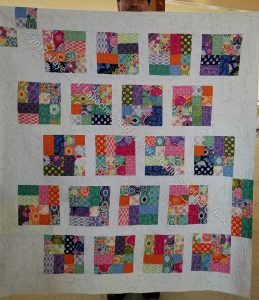 The sashing has the feathery swirl-like things and the blocks have a sort of cathedral window design. I commented on that style the last time we talked about quilting and the way Colleen quilts my quilts. He decided to try it out. I am so impressed with how well he did the first time he tried it. He said that it took much longer than an all over pattern, but was pleased with the results.